Mowgli is a boy without a home. He lives among animals, but he senses that he doesn’t fully belong. He looks human, but he certainly doesn’t act like the people who live in the nearby village. Mowgli’s parents were killed when he was a baby, and he was then raised by a group of friendly animals, including a black panthers and wolves. Perhaps Mowgli does belong among humans, but how will he adapt? He walks on all fours. He eats raw meat. And he hasn’t had a bath in, well ... ever. 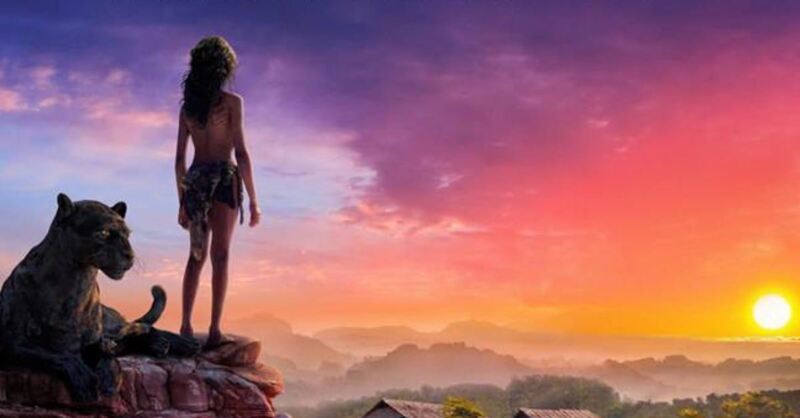 The live-action movie Mowgli: Legend of the Jungle (PG-13) is now streaming on Netflix, continuing the tale from the classic story The Jungle Book by Rudyard Kipling (1865-1936). 1. It originally was scheduled to be released in theaters. 2. It differs significantly from the 2016 story. And from the 1967 film, too. Mowgli: Legend of the Jungle has the same characters we’ve grown to know – such as Bagheera the black panther, Kaa the python, and Khan the Bengal tiger – but it includes a very different ending than either of those earlier films. We see more of the man village, too. Serkis says it’s closer to the original, written material. Of course – like the 2016 movie – there’s no singing in this one. If you want a musical, your best option is the ‘67 animated movie. 3. It’s too violent for young children. The 2016 Jungle Book film was rated PG for “some sequences of scary action and peril.” Mowgli, though, is rated PG-13 for intense sequences of action violence, some bloody images and thematic elements. This darker version deserves the stricter rating. We hear Khan talk often about how he killed Mowgli’s mother and tasted her blood. We see the animals fight one another in violent, bloody battles. We watch Mowgli get scarred with a gruesome cut on his forehead and arm. “It’s really not meant for young kids, though I think it’s possible that 10 or above can watch it,” Serkis said. “It was always meant to be PG-13, and this allows us to go deeper, with darker themes, to be scary and frightening in moments. The violence between animals is not gratuitous, but it’s definitely there.” The film contains no coarse language. Mowgli isn’t as good as the 2016 Jungle Book, but it has its strengths, led by the animation. Serkis used a technique called “motion capture” that resulted in realistic, lifelike talking animals. With motion capture, the actors wear special helmets and dark suits on set that capture their movements digitally. The result: The motions of the on-screen animals correspond to the motions of the actors and actresses. Mowgli also features an all-star cast: Christian Bale (The Dark Knight) as the voice of Bagheera, Cate Blanchett (The Lord of the Rings) as Kaa, and Benedict Cumberbatch (Doctor Strange) as Khan. The director, Serkis, plays Baloo the bear. 5. It has plenty of positive messages. The film offers obvious great lessons for children and a few others that are subtler. Among the obvious ones: love those who are different from you, show kindness and mercy to others, learn to face your fears, be a leader, have courage. Fans of the story will point to the subtle themes, including the balance between humans and nature, and the danger that people pose when ethics aren’t considered. In Mowgli, there are bad apples on both sides of the story: Khan in the animal kingdom and the hunter Lockwood on the human side. Most moviegoers will watch the film for its entertainment value. But if you dig a little deeper, there’s plenty to discuss. Entertainment rating: 2.5 out of 5 stars. Family-friendly rating: 3.5 out of 5 stars. Michael Foust is a freelance writer. Visit his blog, MichaelFoust.com.